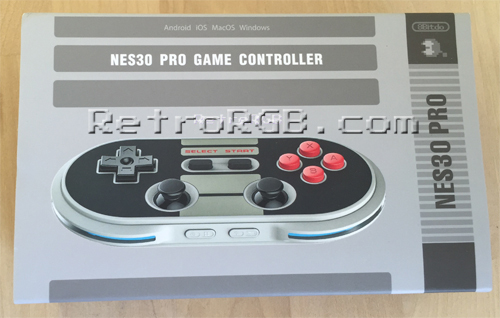 The NES30 Pro is a bluetooth controller made by 8BITDO. It’s retro-inspired, but aiming to be compatible with as many platforms as possible. Their official firmware will always support bluetooth for Mac, PC and Android, but they’re constantly working on supporting other platforms. At the time of this writing, they’re working on a beta with Wii and Wii U support, as well as the PS3. 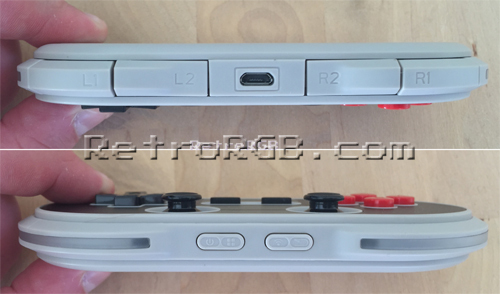 The NES30 Pro also has all of the same features of the NES30 controller, with the addition of two analog control sticks and more shoulder buttons. 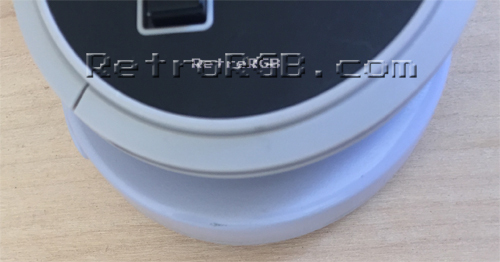 This review will concentrate on the extra features of the pro controller, but if you’d like to read about it’s other functionality, please check out the NES30 page. 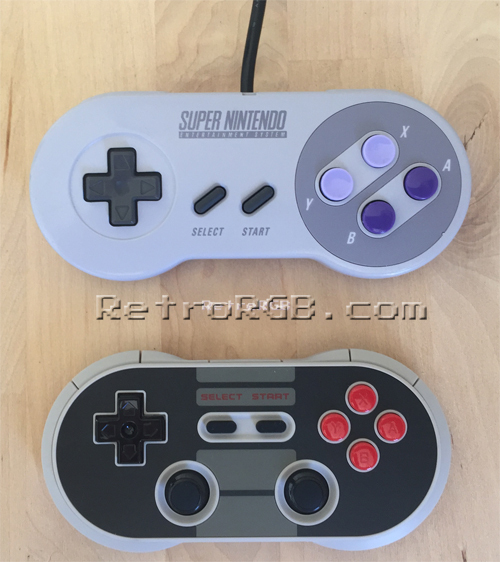 The functionality was just as good as with 8BITDO’s other controllers, but with even more compatibility added. It was neat hooking it up to my Wii U, but overall, the controller was just too small for my hands. Also, their firmware download pages and documentation aren’t very good. They have an “extended firmware” download page, but the versions listed are old. They have a few videos on their YouTube channel that show how to connect each device, which is really helpful, but I hope they’ll someday update their site and keep all the downloads and instructions in one place!